27 May 2018 Washington, D.C.
Immigration remains the most important issue to Republican voters, conservatives, and supporters of President Trump, a new poll reveals. White voters, likewise, say immigration is one of the top three biggest issues, along with healthcare and terrorism. The poll reveals that GOP voters, conservatives, and Trump voters believe that immigration is vastly more important than issues like tax reform, the national debt, and healthcare. As Breitbart News has reported, likely GOP voters have told pollsters for months that immigration is their biggest priority heading into the 2018 midterm elections. Rather than focusing on Trump’s popular pro-American immigration reforms that would reduce legal immigration to raise Americans’ wages, the Republican establishment and the donor class has attempted to push the president to focus on uninfluential issues like tax cuts and prison reform. 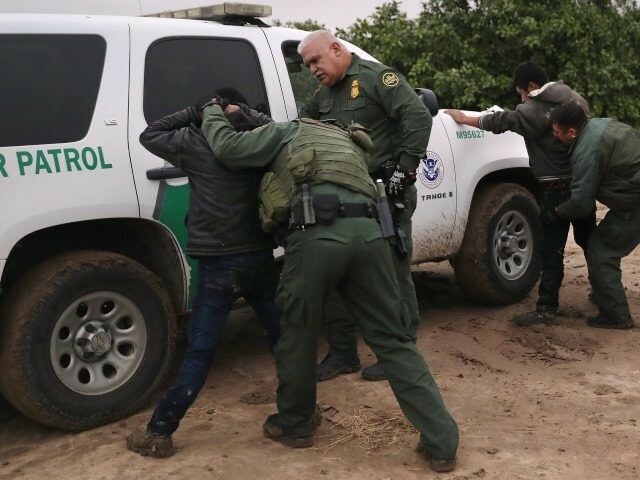 Trump, bucking the GOP establishment, has reaffirmed his commitments to cut legal immigration to reduce the burden that American citizens have been hit with for decades due to mass immigration, Breitbart News reported. “A [visa] lottery is ridiculous, you know. I mean, they take people from the lottery where you can imagine these countries are not putting their finest in that lottery, so I don’t like the lottery,” Trump said last week. Most recently, Breitbart News reported how the current legal immigration system has imported more than 10 million foreign nationals to the U.S. in the last decade, a population larger than the residency of New York City. Currently, the U.S. admits more than 1.5 million legal and illegal immigrants every year, with more than 70 percent coming to the country through the process known as “chain migration,” whereby newly naturalized citizens can bring an unlimited number of foreign relatives to the U.S. In the next 20 years, the current U.S. legal immigration system is on track to import roughly 15 million new foreign-born voters. Between seven and eight million of those foreign-born voters will arrive in the U.S. through chain migration.